Dieter Rams: Less and More Interview | Shelby White - The blog of artist, visual designer and entrepreneur Shelby White. Dieter Rams is someone that I consider a godfather of modern usable design. His contributions to Braun were huge. They helped forge an understanding of design’s function. Part of my reasoning for posting this video isn’t just to showcase work that I feel needs to be spread around to help educate. 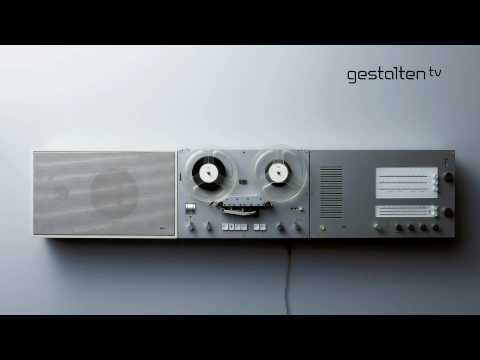 It’s also to show you who Dieter Rams is and what his personality is like. I’ve come to find that even though I may not care for certain works of certain artists, seeing them talk about design can really change my mind. 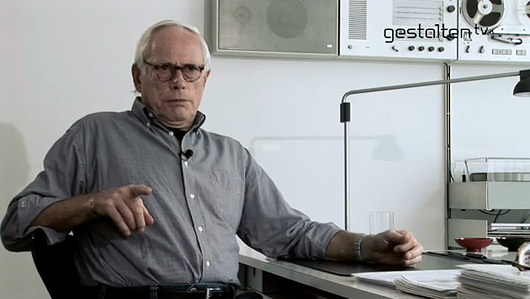 The first time I watched a video of Dieter Rams talking was in the Objectified Documentary. If I were to pull one great thing from Dieter Rams in that movie it would be his personality—truly respectful. He is seemingly a man who takes design seriously. Every piece of his design has this weird reflection of the personality that is seen in these brief interviews. As I finish up posting this, I’ve turned on Objectified to watch once again for Dieter Rams’ wise contributions. I have the book; it’s definitely recommended. Very inspirational. Brennan, I agree. I’ve seen the book multiple times and enjoyed it. I need to get a personal copy though. You are correct, thank you. I had just watched Helvetica prior. Having worked with Rams for a few years, I can vouch for that total correlation between his personality and his designs. And, oh yes, he takes design very seriously and is constantly troubled by the devaluing of the word ‘design’. Which is why, in my opinion, his 11th principle for good design would be: never compromise.